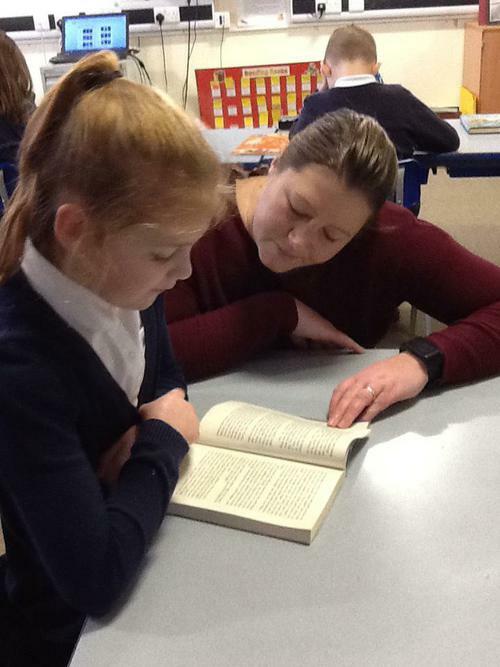 Our Reading Challenge is launched! 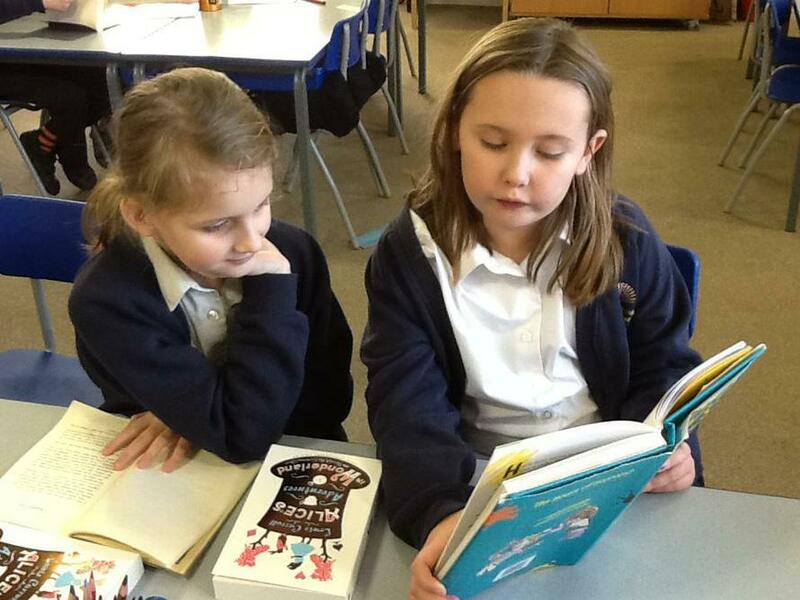 We have launched our exciting Reading Challenge! 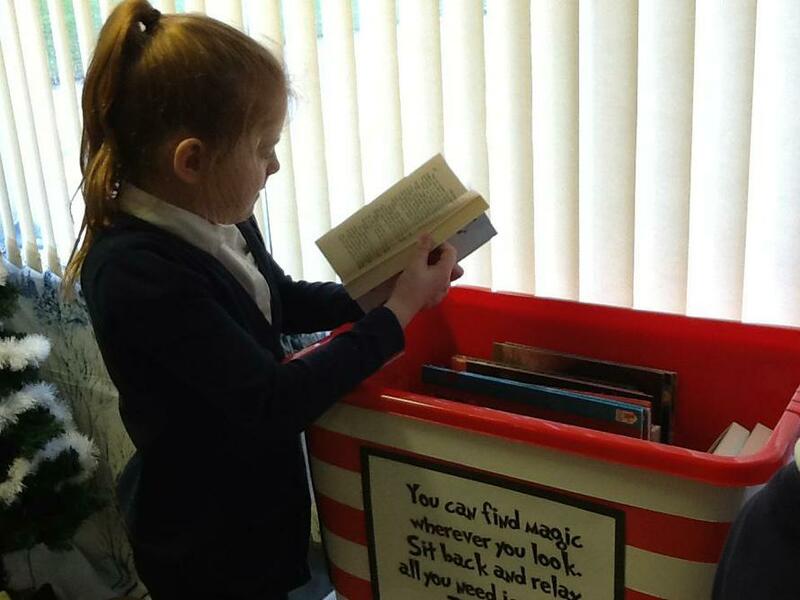 On Monday 15th January the children were invited along to a special assembly where we looked at fantastic boxes designed with a reading theme for each class. 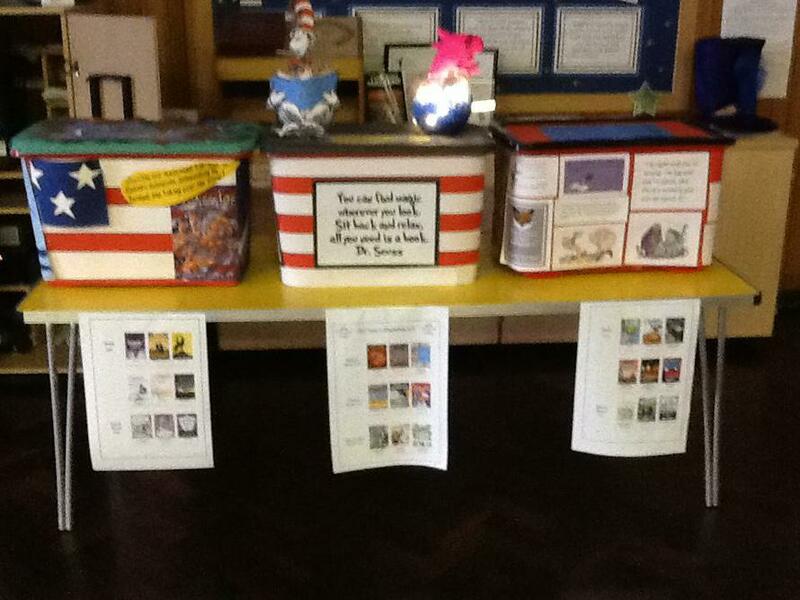 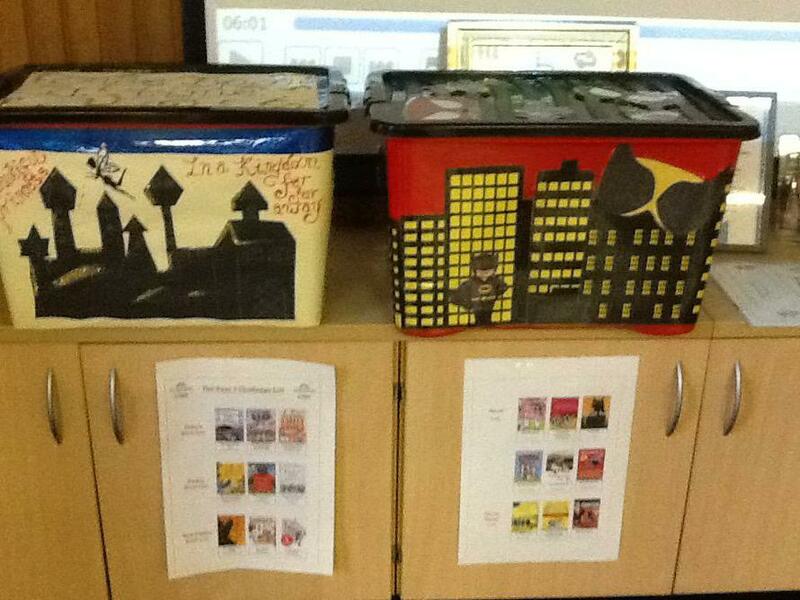 These book boxes have the Reading Challenge books inside and look amazing! 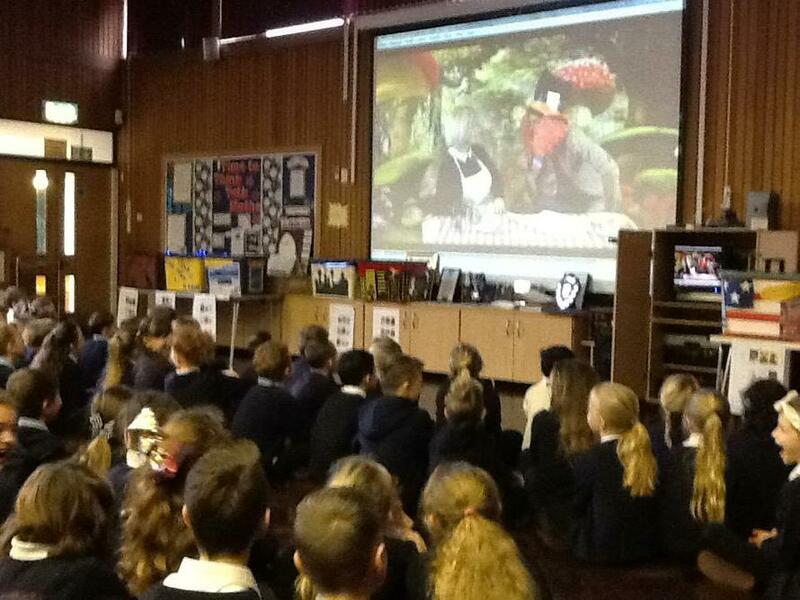 During the assembly the children also watched a video of staff in role as characters from the books, inviting children to look for clues to guess where their reading journey had taken them. 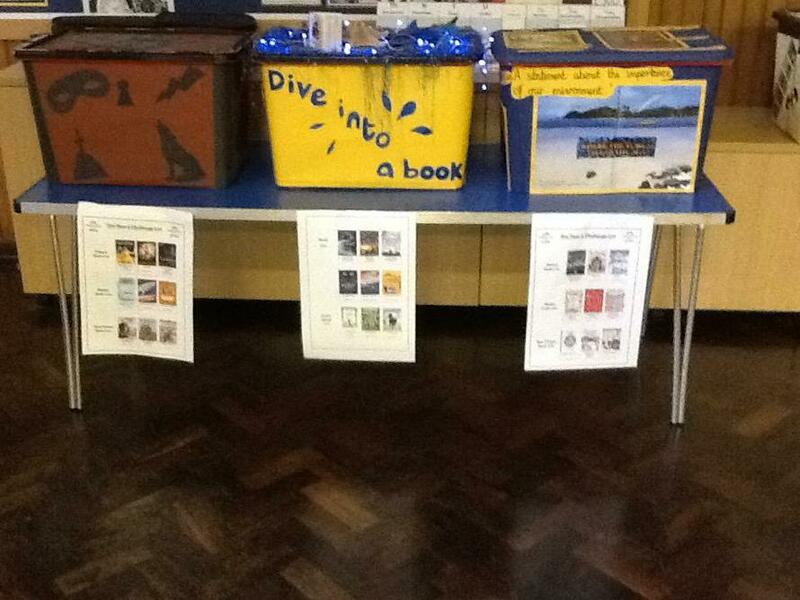 A whole school competition is now underway. 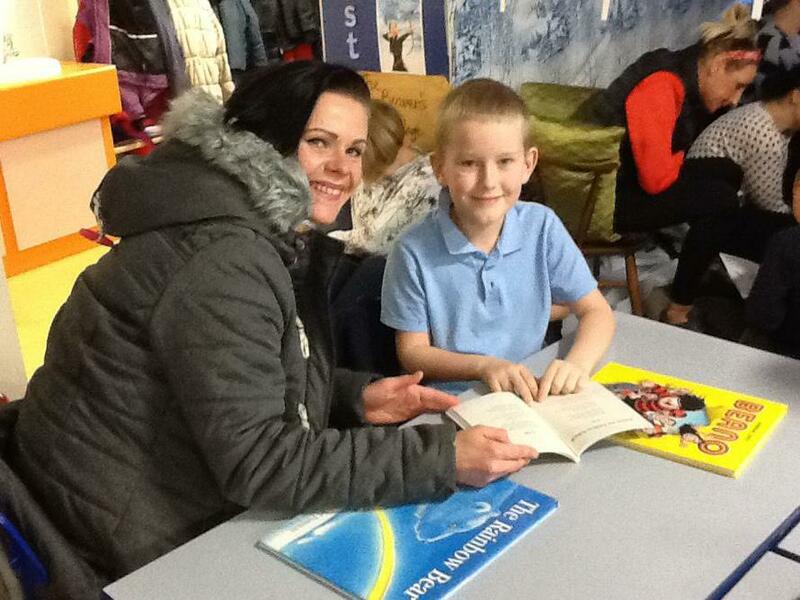 The staff really had fun with the Green Screen! 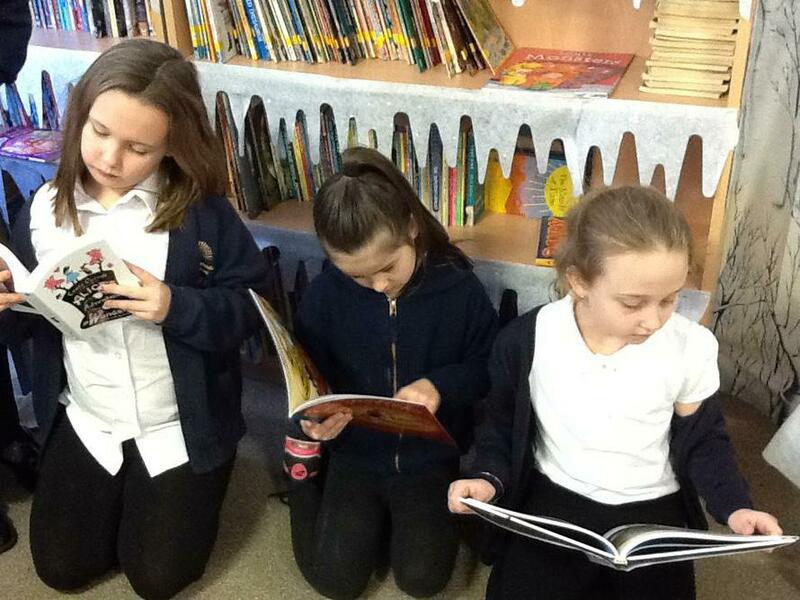 After assembly each class had the opportunity to browse the wonderful selection of books for their year group and learn about the great rewards available for reading them! 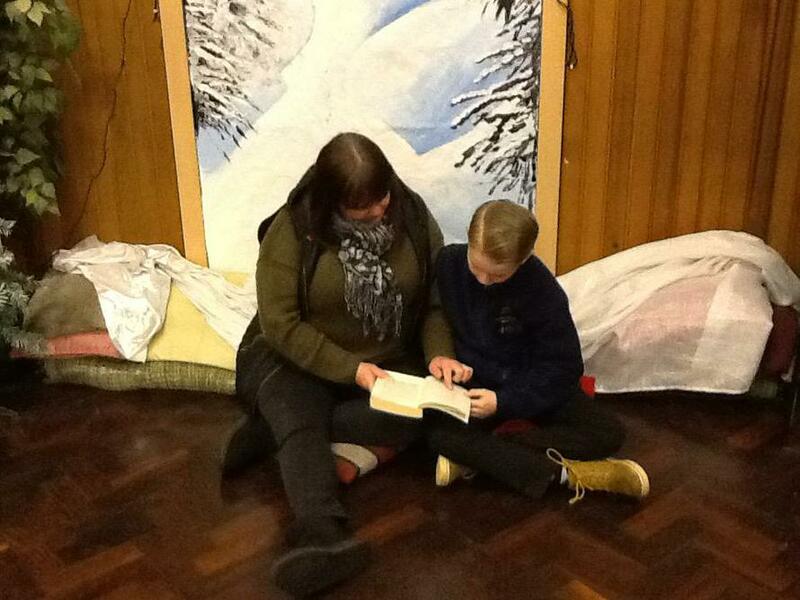 Every year group has a bronze, silver and gold badge as well as a certificate as they work through their challenge. 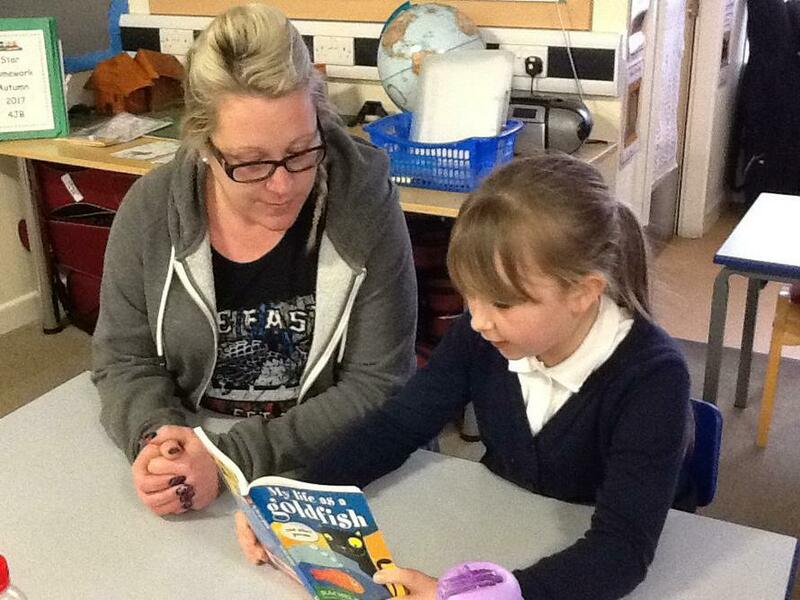 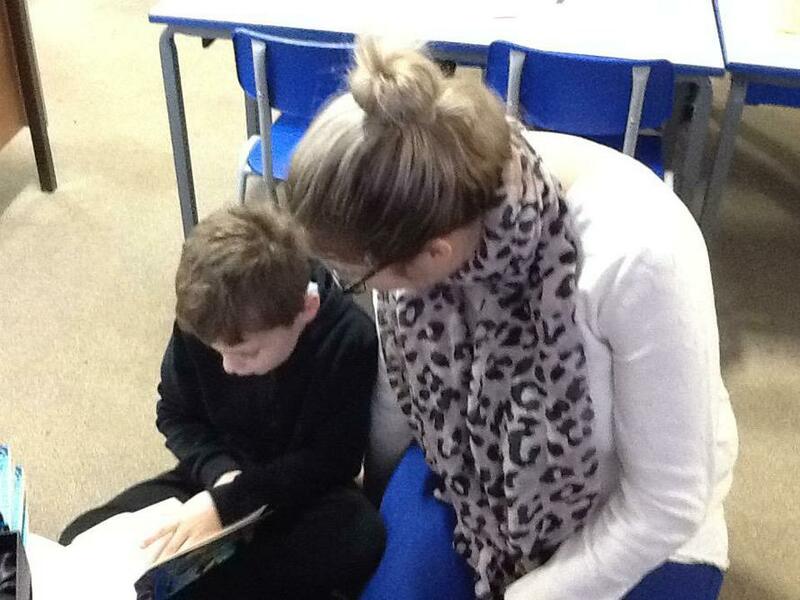 In the afternoon, teachers shared a favourite book with their class and then the children had a paired reading session with a friend, reading a book they had brought in from home. 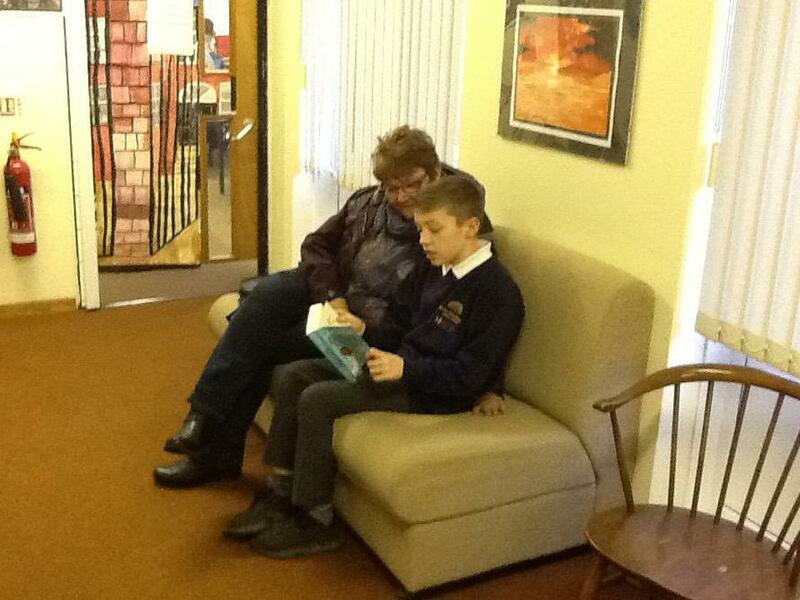 To finish the day, many of our parents and grandparents came along at 3pm to share a book. 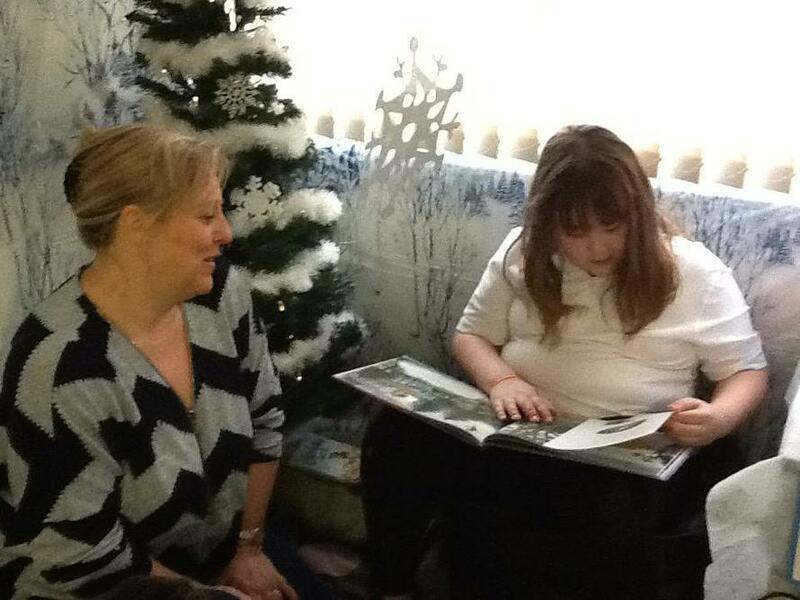 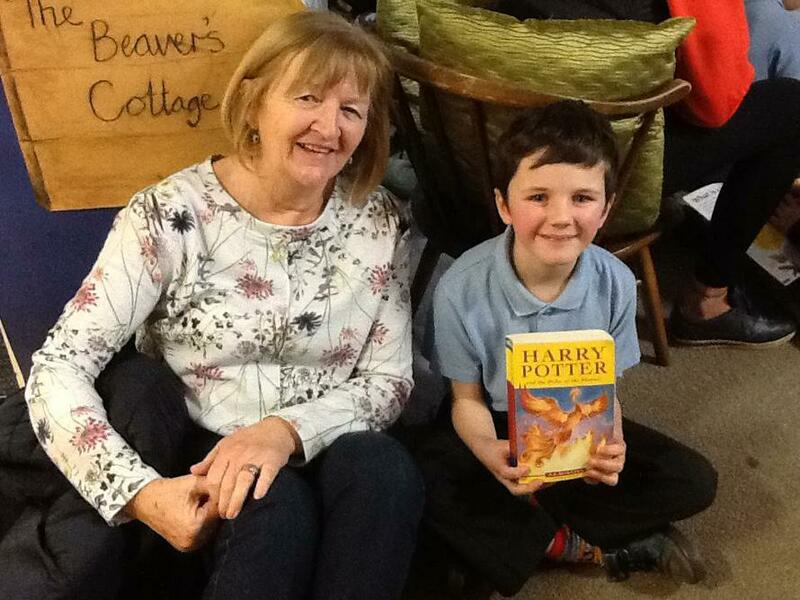 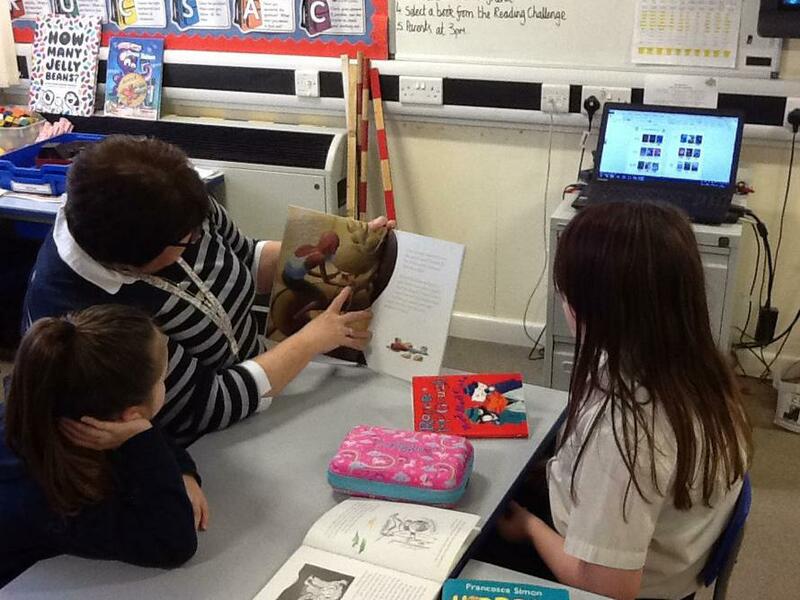 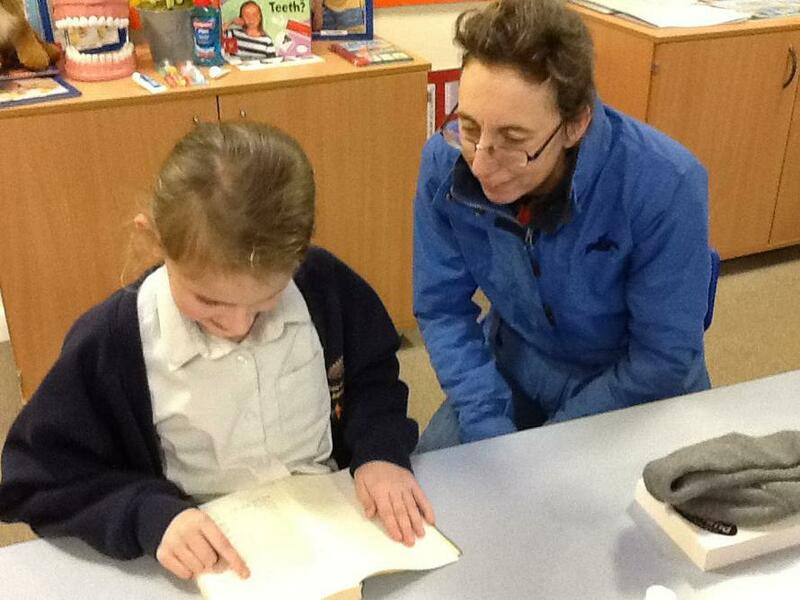 The children were excited to see their parents and grandparents in school and shared a wonderful reading experience. 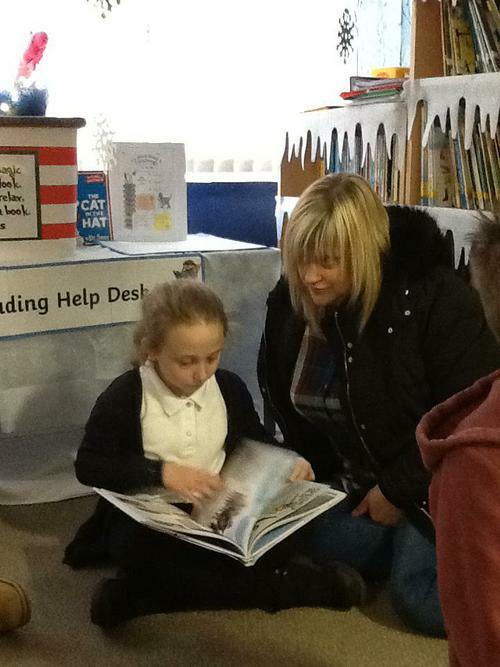 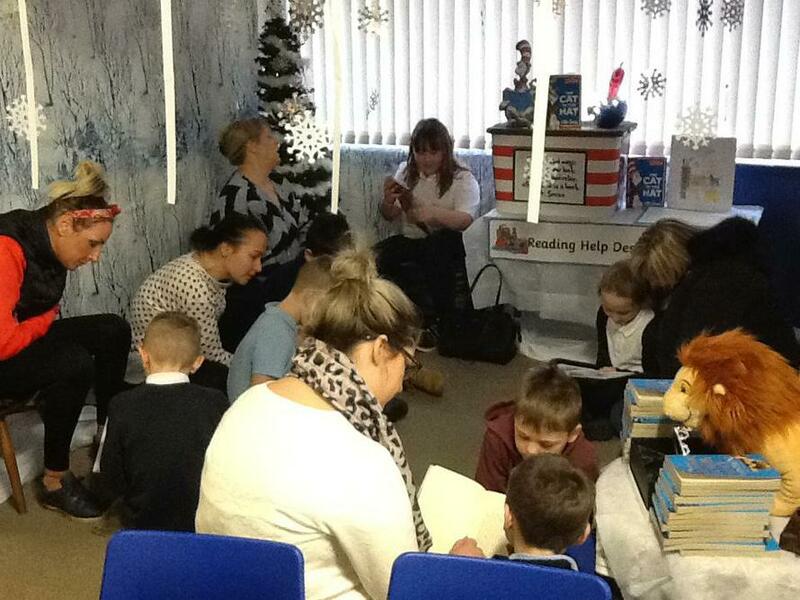 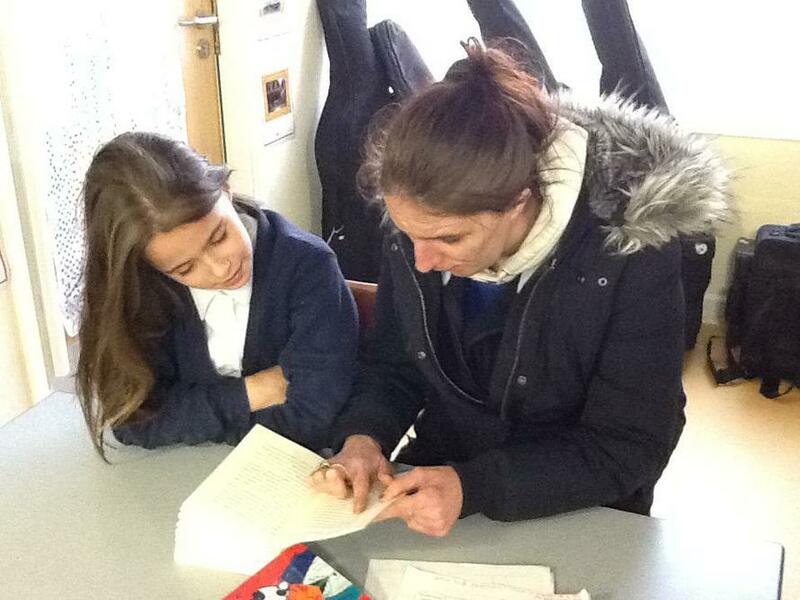 Thank you to all the parents who supported the day by helping their child select a book to bring along to school and for those who came in for our reading session at the end of the day.